2.state: State differs from props in that it is internal to the component. Use props to pass data and settings through the component tree. Never modify this.props inside of a component; consider props immutable. Use props to for event handlers to communicate with child components. Use state for storing simple view state like wether or not drop-down options are visible. 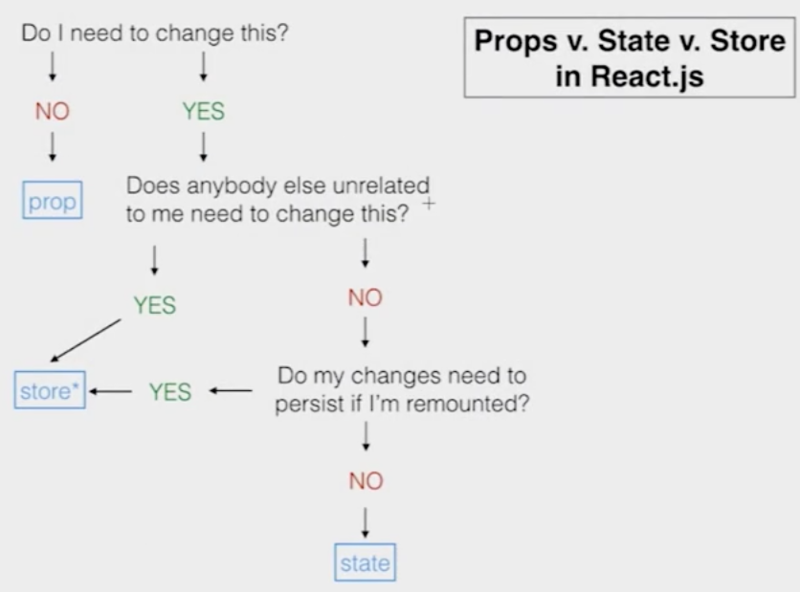 Never modify this.state directly, use this.setstate instead.